The transactions related to payment carried out between us and our clients are kept confidential. You details are not shared with anyone except the concerned personnel to ensure high level of security. We believe in providing quality-approved products to the clients. For this, we make sure that all the inputs are procured from certified vendors after complete analysis of the quality. 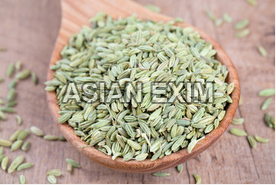 We offer excellent quality fennel seeds in various packaging like 25kg, 40kg, 50Kg etc.